Filling of olive oil was put into operation. 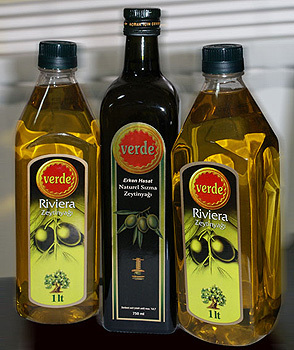 In October the first part of a technological line for filling of olive oil was put into operation in Verde Olive Oil A. S., Izmir, Turkey. It consists of a weight filling tribloc model IND-Dose 49 RRWTC 24/18/6 and a labeling machine for self-adhesive labels model IND-Lab 32. The line is with capacity of 6000 bottles/hr and is designed to work with cylindrical and square PET and glass bottles with volume of up to 2.0 l. The second part of the line including bottles unscrambler and a machine for packing in cardboard boxes is to be installed.